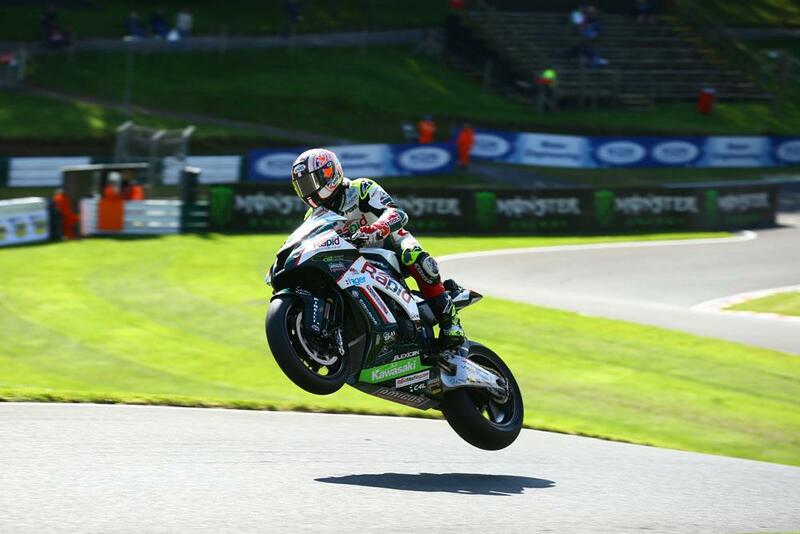 Shane Byrne has demolished the lap record at Cadwell Park to take his first pole position at the Lincolnshire circuit in seven years, going over half a second faster than Leon Haslam’s 2007 lap record set on a full specification superbike. Byrne, who hasn’t won in over a decade at Cadwell, has been on fast form all weekend, but his Q3 lap left second placed Ryuichi Kiyonari nearly a second behind. Third was Tommy Bridewell, taking his best qualifying position of the year to complete the front row, heading veteran Chris Walker, another impressive position for Peter Hickman, and Josh Waters, finally finding his form on the Tyco Suzuki. However, title fighter Josh Brookes was less fortunate, after an electrical fault on the Milwaukee Yamaha left him sitting out Q3 and back in tenth on the grid, while James Ellison’s heroic comeback ended early when pain in his still-healing knee ruled him out of the weekend.